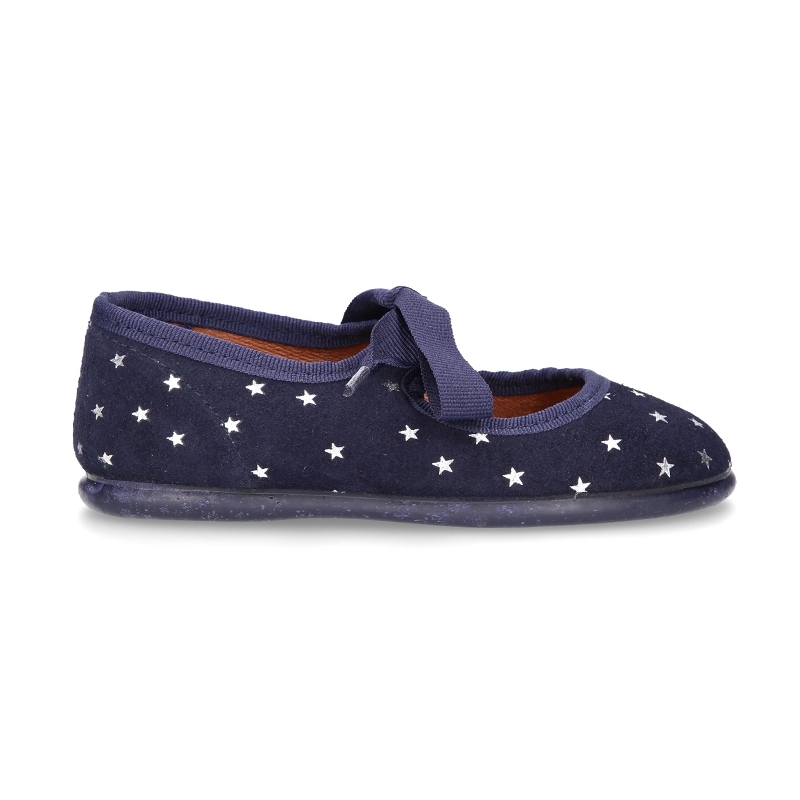 Okaaspain, tienda online de merceditas tipo angelito con lazo de piel serraje con estrellas para niñas. 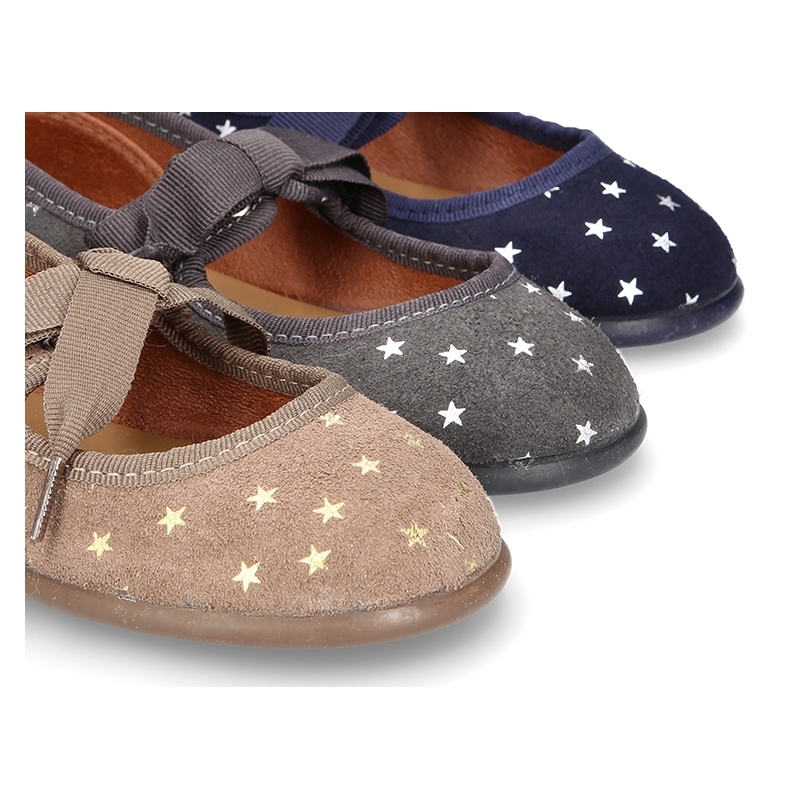 > First Steps>Mary Jane>Litte Mary Jane shoes angel style with STARS print design. 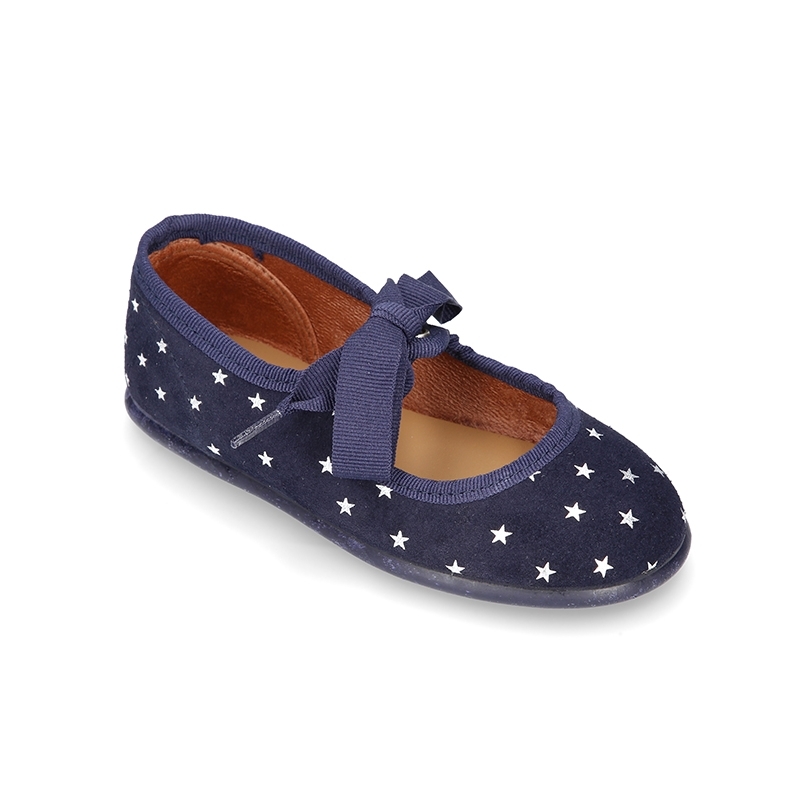 Litte Mary Jane shoes angel style with STARS print design. 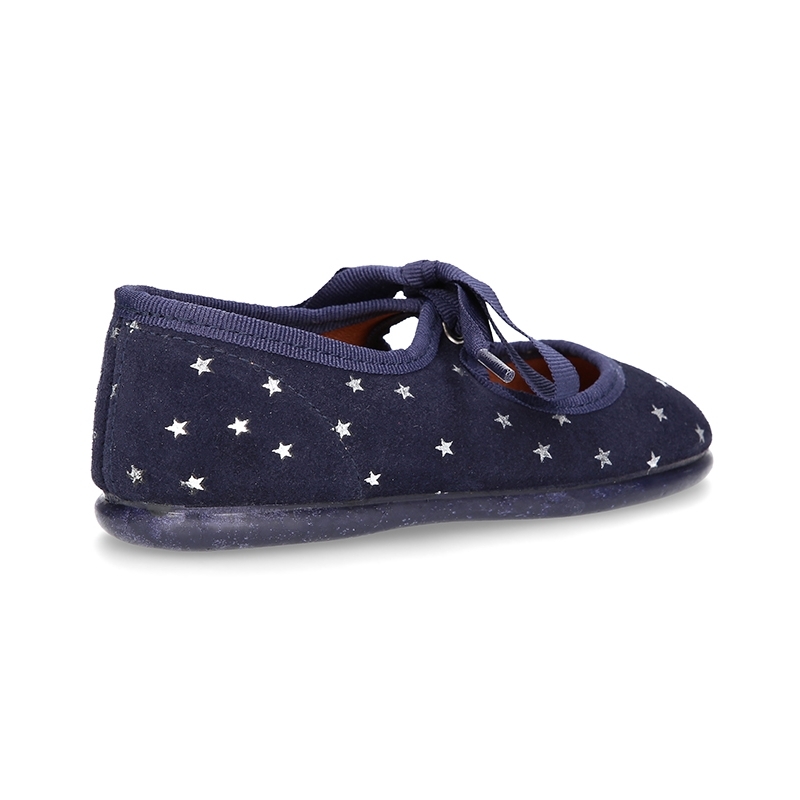 Little Mary Jane shoes Angel style in suede leather with STARS print design and ties closure for girls. 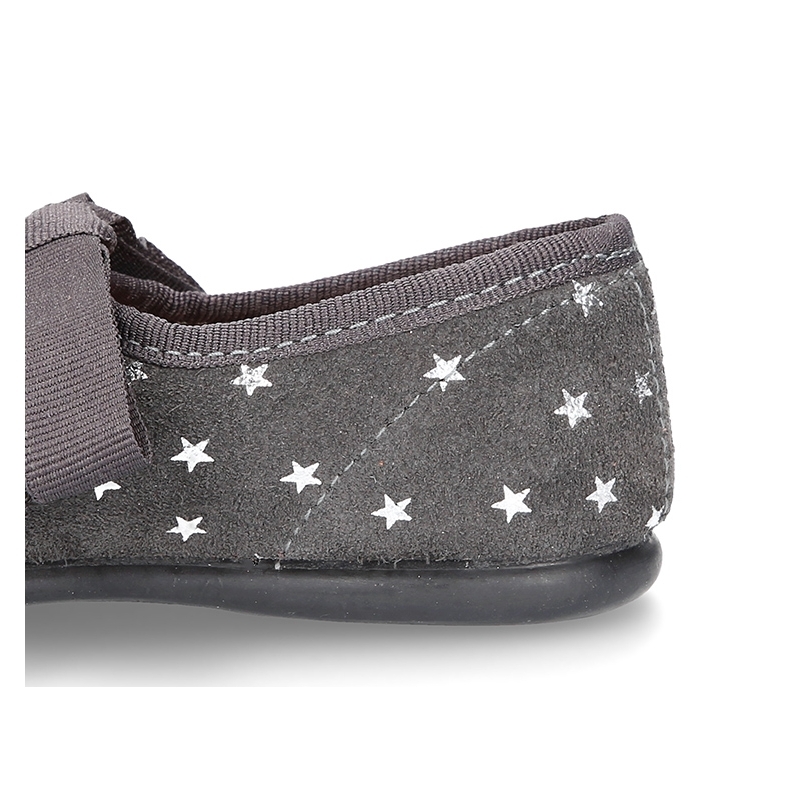 More info about Litte Mary Jane shoes angel style with STARS print design. 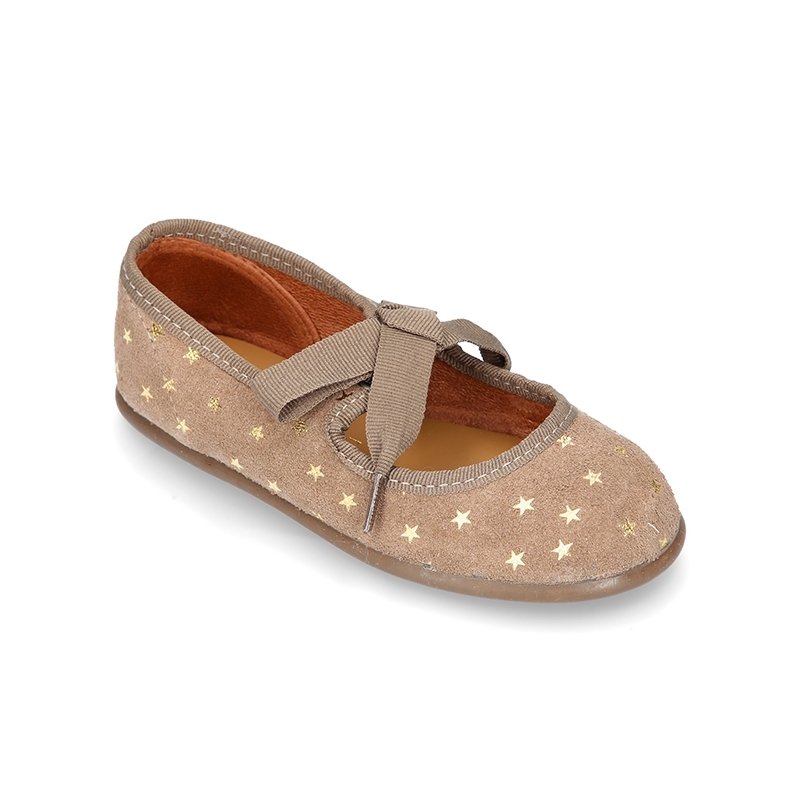 Little Mary Jane shoes Angel style in suede leather with STARS print and ties closure for girls. 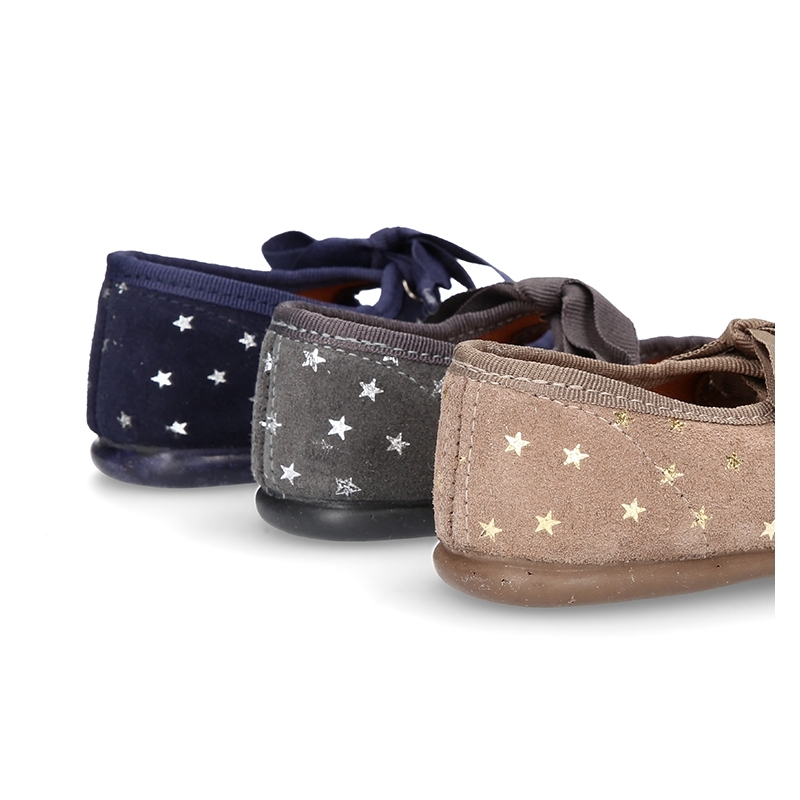 Made up of 100% high quality natural suede leather with STARS PRINT design. Fit with every garment this autumn/winter. Very classy and update model. ItÂ´s a new model, very different and elegant. 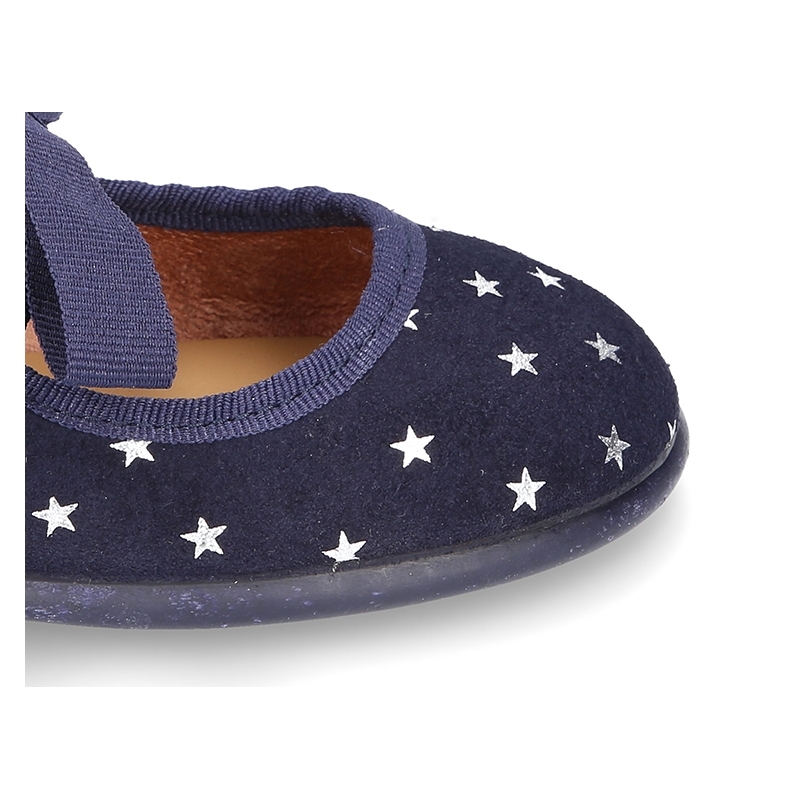 STARS effects, are the latest this season. 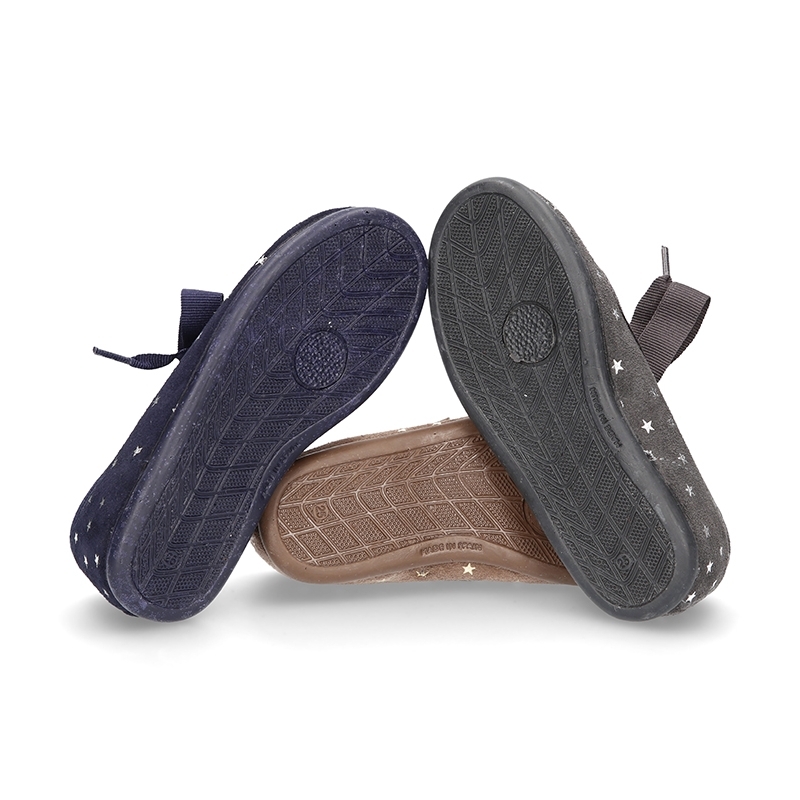 ItÂ´s a very elegant model with a stylized shape perfect for girls with thinner feet. Available in 3 colors. Range of sizes, from 21 Euro size up to 36 Euro Size. SIZING SMALL, for this we reccomend to choose a bigger size to regular one. 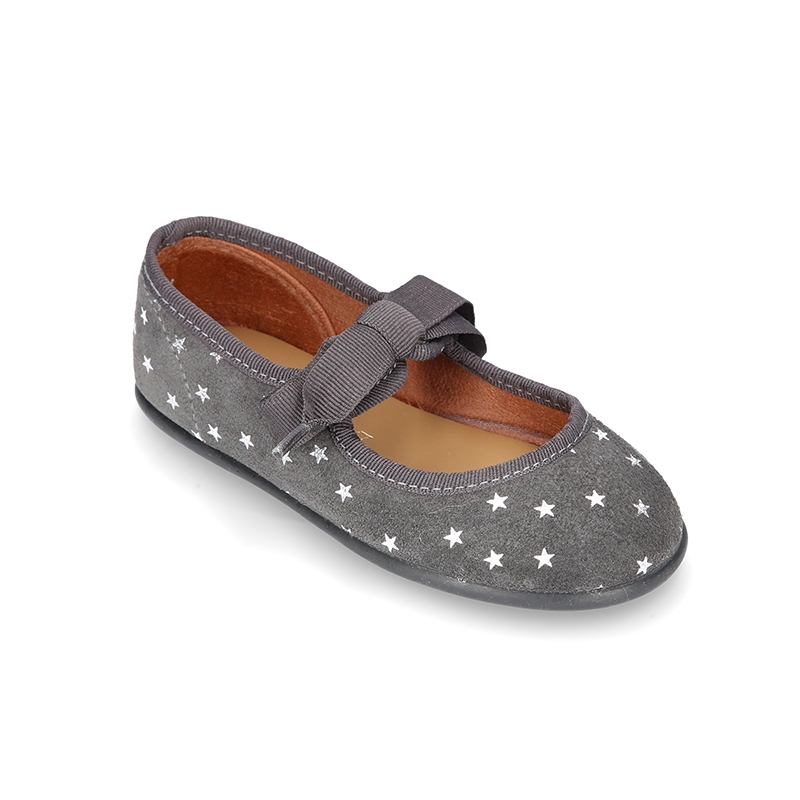 Data sheet about Litte Mary Jane shoes angel style with STARS print design.